Advisor Advanced Accessible Pedestrian Station (AAPS) - J.O. Herbert Co., Inc. The AAPS is the first of its kind to use web-based management, which enables traffic agency technicians to update and monitor the system remotely over network communication lines via traditional workstations, laptops or any device that is web browser compatible. 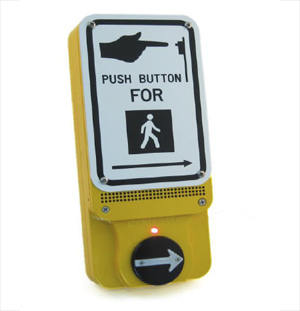 Real time control capability allows the technician to download files directly to individual pedestrian stations or to an entire network.